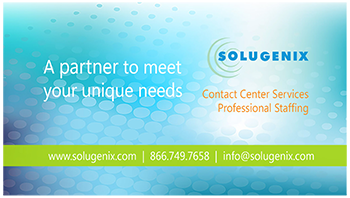 Headquartered in Brea, CA, Solugenix is a consulting firm that provides managed IT and consulting services to enterprise level customers. Business units include technical support, IT staffing, IT managed services, consulting and managed services to support hospital supplies inventory tracking. Their customers are Fortune 1000 companies - financial institutions, consumer products companies, medical device companies, and hospitals. After a rigorous software evaluation, Solugenix chose Sage Intacct over other cloud-based and on-premises solutions as the best fit for the business. With Sage Intacct, Solugenix will gain a real-time view into both financial and operational reporting, resulting in a better understanding of business dynamics and drivers, as well as better accountability for key management. The Sage Intacct solution will increase the accessibility of operational and financial reports for company managers. "We look forward to taking advantage of Sage Intacct's ability to provide real time Operational and Financial information to the Solugenix Management team" said Narasimha Babu, Finance Manager at Solugenix. "As a consulting firm running Sage Intacct themselves, AcctTwo is ideally suited to help us through the implementation process."